Dubai, UAE, 04 September 2018: OSN, the region’s leading entertainment network, has signed a Memorandum of Understanding (MoU) with Huawei, a leading global provider of information and communications technology (ICT) infrastructure and smart devices, to deliver a turnkey IPTV solution which enables telecom operators to offer a state-of-the-art TV experience alongside premium content. This new collaboration with Huawei forms part of OSN’s digitisation strategy to enhance product delivery, and ensure more potential OSN customers have access to the best TV experiences, by utilising innovative technology. 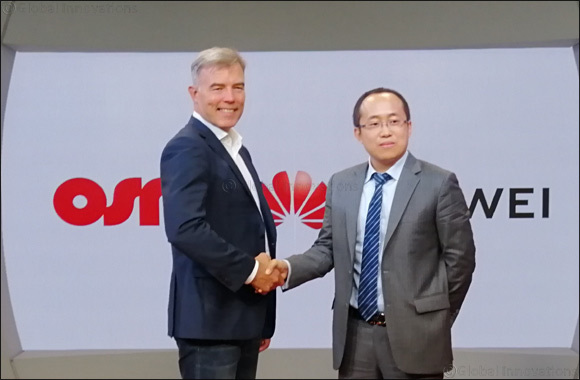 The partnership brings together OSN’s wide array of entertainment content and Huawei’s world-class Video Cloud Solution, a regional first as the best of premium content and the best of platform technology are combined in one single end-to-end solution. Huawei’s Video Cloud Solution - which currently serves more than 140 million subscribers worldwide - enables best user experience by optimizing interactivity as fast as 0.5 seconds for channel zapping, 0.7 seconds for user interface response and 0.9 seconds for video on demand loading. It also supports Ultra High Definition @60 frame per second streaming, High Dynamic Range imaging and H.265 compressed video and features seamless multi-screen interaction. In addition, the solution is equipped with the innovative “Presentation Hub Management System” which will shorten user interface adaptation from months to just minutes. Due to the developed features in the solution - like big data, dashboard system, recommendation engine, and quality of experience management system - end users and telcos will benefit from precise marketing and smart maintenance and operation.